Begin your journey as you’ll travel south on the slopes of Hualalai and Mauna Loa volcanoes. You’ll view several historical lava flows and will enjoy a fabulous lunch at Punalu’u Bake Shop & Visitor Center. 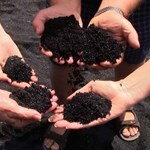 Stroll across the picturesque Punalu’u black sand beach and search for sea turtles. Adventure to the summit of Kilauea inside Hawaii Volcanoes National Park. 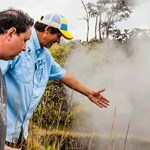 Your tour guide is certified ranger trained who will lead you to “must see” Big Island volcano sites in the park fully narrating the flora, fauna, geology, and cultural awareness with myth and legend stories that tie in the history of the past eruptions. 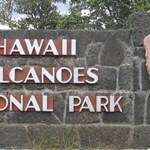 While in the park, expect to see the summit caldera, steam vents, rainforest, lava tube and cinder fields. Enjoy a deluxe 3-course dinner at “The Rim” restaurant inside the Volcano House. Savor creative island cuisine with at least 95% of the restaurant’s meat, seafood, fruit and vegetables are sourced from local ranchers, farmers and suppliers. (Choice of New York Steak, Grilled Fish of the Day, Island Stuffed Chicken or Big Island Herb and Macadamia Nut Pesto Pasta). Includes Volcano Market Salad, Tropical Dream Ice Cream Dessert and Beverage. View or download our Dinner Menu. Child Menu – Ages 5-12 (Choice of Hebrew National All-Beef Hot Dog with side of fries or Pasta with choice of marinara or butter & cream sauce or Mac Nut Fish of the Day with Purple Sweet Potato Mashers and Vegetables). Includes Tropical Dream Ice Cream Dessert and Beverage. 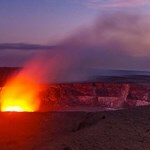 After dinner, your tour takes you to the Jaggar Museum to enjoy the best viewpoint for the night time glow at the Halemaumau Crater or flow if available. After witnessing the best viewing of glow or flow, your guide will drive you safely back to your place of stay over Saddle Road… and if weather permits, we will stop and stargaze on your way back. 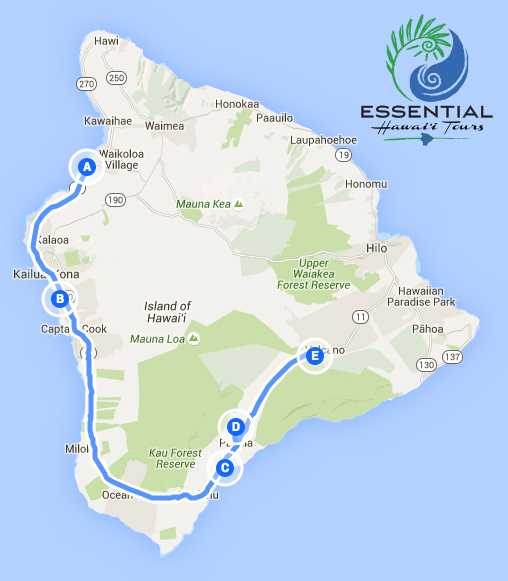 M, Tu, Th, F, Sa, Su 8:45 AM - 10:20 AM 12 hours Pickups are at most major hotels and resorts from Kona, Waikoloa, Kohala and Hilo. Click "book it" button to see exact pickup times & locations. Rain or shine, the tour still goes on. Everyday somewhere, it is raining on the Big Island. If this should happen, we will provide rain ponchos or light rain jackets. On some of the tours, we might even have an umbrella or two. Typically, we try not to carry umbrellas as they tend to break often with our strong trade winds. How many people fit in your van? 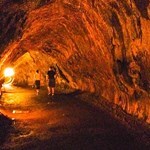 Essential Hawai‘i specializes in small group tours. Our 2015 Ford Transit Van was built as a 15-passenger capacity. However, we have modified the seating capacity for comfort and strive to keep the passenger limit to 10 for a better experience. Our van has a high-roof ceiling so you can walk right in without ducking down… unless you are 6’6″ or taller. How much hiking is involved in the tour? On our Night Volcano Tours, there will be a few short hikes with the longest hike being no longer than 20-minutes long during this adventure. You should be able to walk on uneven paths or on rocky terrain. Light to moderate hiking should be expected. We suggest that you wear clothes in layers. You will have plenty of opportunities to change as the weather changes frequently. Most guests wear a light jacket or bring long pants for after sunset. Wear comfortable closed-toe walking shoes as we might walk on uneven paths and lava rock. Closed-toe shoes are required on each tour. Temperatures at the Hawaii Volcanoes National Park can range from 50 to 75 degrees Fahrenheit. Saddle Road temperatures can get even chillier with the wind, to perhaps 40 degrees Fahrenheit. Bring a hat, suntan lotion and don’t forget to bring a camera! Will we see molten lava? Are meals, snacks, and drinks included in your tour? Snacks, juices and water are standard on all our tours. We made it our goal to pair our tours with delicious meals including lunch as you stop along our routes and savor the authentic flavors of our regional Hawai‘i. What if I have a special foods diet? Most special dietary needs, restrictions and requests can be accommodated with advance notice. 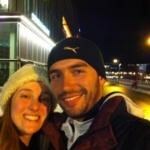 Passeio muito bom, o guia Paul é muito atencioso e conhece muito bem a região. O jantar na beira do vulcão é expetacular!! A vista é muito legal e a comida muito boa! 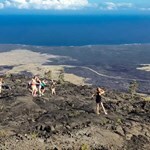 We chose Essential Hawaii Tours in Kona because we wanted to see the volcano, and because the tour was limited to 10 people (on our day there were only seven of us). Not for us the big bus tours with microphones and megaphones, or struggling to hear the guide when outdoors. How wonderful to have someone else do the driving. 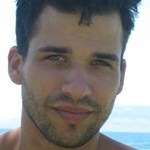 Especially Paul Belmudes who is so knowledgable about the sites - and sights. 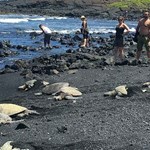 ... moreWe were taken to the black sand beach and saw close up the big sea turtles. A nice catered lunch at the Bake Shop (catered saves a lot of time!) amid tropical foliage. The volcano in daytime (and we circled back to see it at night, fire glowing in the dark. Just a fabulous tour with a wealth of knowledge about everything we visited - lava tubes and all. Dinner at the storied Volcano House was a special treat, as Paul is the only tour operator granted access. Strongly endorse this tour and tour leader Paul. Paul is a genuinely nice and welcoming guide and concerned for his guests. He is very informative. His appreciation for the Big Island is apparent. 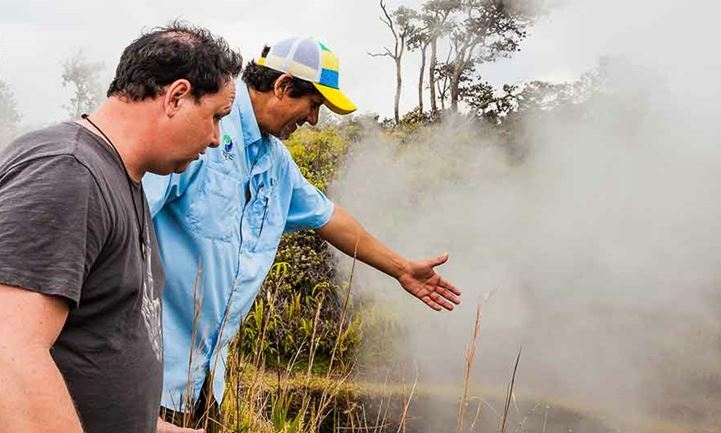 The tour is a great way to see and learn about the many landscapes and regions as the tour goes from lava fields to a coffee farm and through a rain forest on the way to the volcano experiences. It was amazing to see the volcano both during the day and ... moreat night. The bakery was a nice break and the dinner was fabulous. A very long day but well worth the trip. Highly recommended. 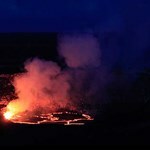 We took the Night Volcano Tour on November 7th. Paul did an outstanding job. He kept our interest the entire time. The tour stops were great. Lunch was very good at the bake shop and our dinner at The Volcano House was excellent. The van was very clean and comfortable. I did a lot of research in choosing a Tour Company for our trip and I hit a home run with Essential Hawaii Tours. I highly recommend ... morethis Tour. My family and I took this tour with Paul as our guide and just have to say that Paul is amazing and has a 1st class business. The places you stop at are beautiful, educational and food is great. Paul is constantly taking care of you from the time you step into the van until your trip is done. He provides water, juice and snacks and at the end of the trip he handed out hot towels scented with lemon. ... moreThe experience is like no other...and we travel A LOT! Mahalo Paul! 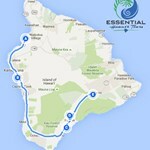 I found Essential Hawaii Tours via excellent TripAdvisor reviews and was not disappointed! Paul (owner/tour guide) was friendly, informative, and always concerned with the comfort of the people in the group. 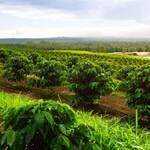 We visited a lovely bakery for lunch, a coffee/macadamia nut farm, a black sand beach, and the Volcano National Park. Paul was informative and funny during the entire duration of the tour. We ... morevisited the craters, steam vents, fault lines and the Thurston lava tube. We then had an amazing dinner at the Volcano House with excellent food (the fish was outstanding) and spectacular views. We finished the evening by going back to the active lava crater after dark, where we had breathtaking views of bright orange, spattering lava! Paul's group sizes are small (there were 9 total on the day we went) and allow for special attention and interaction with one another. We certainly never felt lost in the crowd. 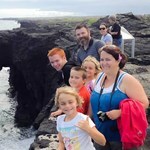 Anyone looking for a fun, informative, intimate tour should consider Paul and Essential Hawaii Tours, you will not be disappointed! Mahalo, Paul!